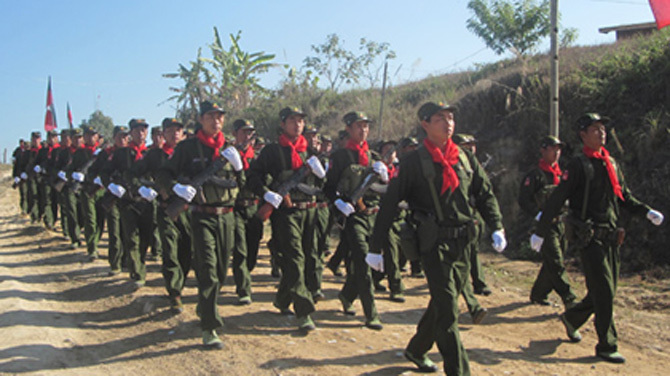 A spate of recent murders, some allegedly committed by members of the Shan State Army (SSA), has increased fears among civilians living in the conflict zone where the former ceasefire army has been clashing with Burmese troops. On Friday night, a 50-year-old man was found dead in his home in Kang Lone, a village in Lashio Township, hours after SSA troops entered the village. Neighbors said the man, Ba Tin, had had problems with the SSA the previous week for refusing to give money to support Shan soldiers. 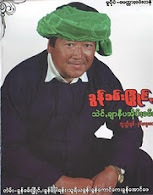 According to one local man who spoke on condition of anonymity, Ba Tin was from a wealthy family in the nearby village of Nampoung, but lived alone in Kang Lone. “No one knows exactly why he was killed, but the SSA contacted him the week before he died, asking him for money. He refused, and so there was trouble between him and the SSA,” the man said. 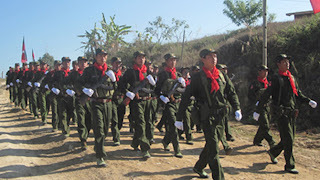 These tensions came to a head on Friday evening, when five SSA soldiers entered the village at around 8 pm—a time most local people avoid leaving their homes these days because of the recent resumption of hostilities between the SSA and the Burmese government army. “I looked outside because my dog started barking loudly, and I saw five men carrying guns. At first, I thought they were Burmese soldiers, but when I heard them speaking Shan, I knew they were Shan soldiers,” said the man. Around 20 minutes later, guns were fired, he said. Nobody in the village dared check to see what happened until two hours later, when they knew for sure that the soldiers had gone. When they went to Ba Tin's house, they found him on the floor, prostrate, in a position suggesting that he died pleading for his life. One local woman said that the incident was reminiscent of the days when the Mong Tai Army (MTA), a former rebel army run by drug lord Khun Sa, operated in the area until it signed a ceasefire agreement with the Burmese regime in 1996. In response to accusations that SSA troops were responsible for the death of Ba Tin and other civilians killed in recent weeks, Maj Sai Hla, a spokesperson for the group, said that SSA leader Col Pang Fa had instructed troops loyal to him not to harm civilians. However, a businessman from Lashio, the main commercial and administrative center in northern Shan State, said that SSA troops routinely ambush travelers on the road from Lashio to Mong Hsu, near the SSA's headquarters of Wan Hai. On July 29, three unarmed people from the town of Kyaukme were killed by unknown gunmen. Some local people accused the SSA of carrying out the attack, but an SSA spokesperson denied the allegation.